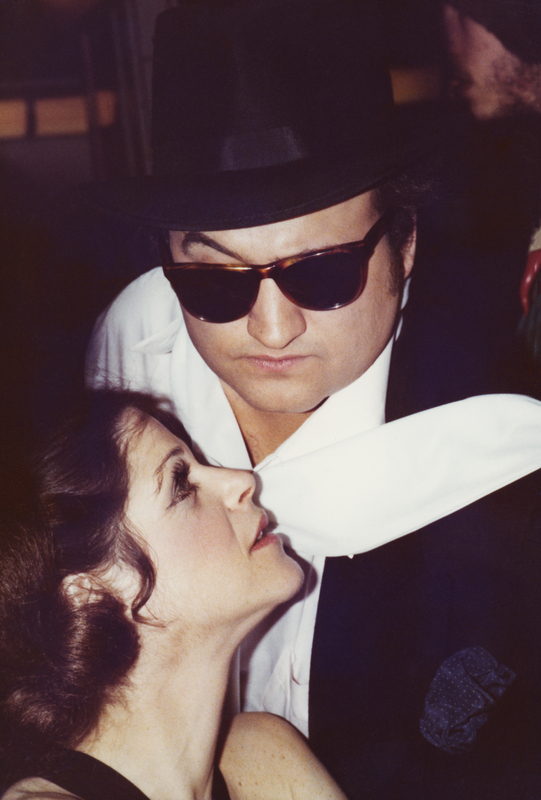 (l-r) Gilda Radner and John Belushi in LOVE GILDA. ©Magnolia Pictures. HOLLYWOOD—Nearly 30 years after her life was cut short by cancer, Emmy winning comedienne Gilda Radner continues to inspire and entertain audiences and generations of comics. A rich kid from Detroit, Radner always had a sense of humor and was in the freshman class of young comics in the cast of “Saturday Night Live,” that also included the likes of John Belushi, Dan Akyroyd, Jane Curtin and others. Her life story—much of it culled from her private journals, home videos and other never-before-seen material—is revealed in the new feature documentary “Love, Gilda,” by filmmaker Lisa D’Apolito. The film arrives in theaters Friday, Sept. 21. The filmmaker, who previously was a producer in advertising, creating campaigns and branded content, segued into feature filmmaking when she became connected to the Gilda Clubs, a non-profit organization that provides assistance and support to cancer patients. She convinced Radner’s brother, Michael, to share his sister’s journals and other personal materials, which are incorporated into the film. Some of the journal entries are read by contemporary comedians including Amy Poehler, Cecily Strong, Melissa McCarthy and Bill Hader, who have long admired the comedy legend. Those who knew and worked with Radner also appear in the film including Chevy Chase, Martin Short and her “SNL” co-writer Alan Zweibel, who created the character Roseanne Roseannadanna with Radner. The film also shows clips from home movies of the wide-eyed brunette as a outgoing child growing up in Detroit and footage of her in her in early days in the Second City troupe, before hitting it big on “SNL” in the 1970s. D’Apolito’s documentary also delves into the funnywoman’s eating disorders, which she struggled with throughout her life. And her brave battle against ovarian cancer, which was documented on video by her second husband Gene Wilder. Radner, of course, wrote about the ups and downs of her life in her autobiography “It’s Always Something,” but “Love, Gilda” goes further into exploring the joys and sorrows of this famous woman’s short life. She died in 1989 at age 42, after her cancer returned after a brief remission. D’Apolito recently spoke by phone about making her debut feature documentary about the much-beloved comedienne and inspiration to so many people, both within the entertainment industry and among her legion of fans. Q: What was your introduction to Gilda Radner? D’Apolito: I knew who Gilda was. I knew her characters. I knew she had passed away. 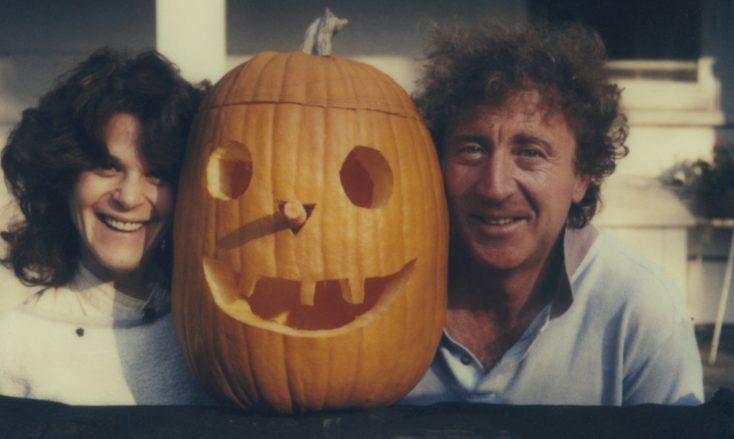 When I started doing fundraising videos for Gilda’s Club in New York, which is an organization founded by Gene (Wilder) and Gilda’s friends after she passed away. I interviewed members of Gilda’s Club and they would talk about her like she was a friend because what they were going through was what Gilda went through. So, I read her book and learned more about her. I thought her legacy was so unique because of her place in comic history. She lives on through 18 Gilda’s Clubs throughout the country and her spirit lives on and helps people. So, I just thought she was amazing. Q: How did you get the documentary going? D’Apolito: About four and a half years ago. I went to Lily Safani, who’s the head of Gilda’s Club and told her I wanted to do something about Gilda and her legacy so she connected me to Alan Zweibel, who was Gilda’s writing partner at “SNL” and a good friend. He invited me over to film him and Robin (Blankman, his wife and fellow writer) and that kicked it off. It was hard to get Gilda’s brother onboard but eventually he agreed to be filmed. I raised money through an Indiegogo campaign, and then I got more interviews and edited it more and got more people onboard. It took a period of time to gain trust, get money and wrap my head around what I was doing. When Gilda’s brother gave me access to her journals and all of her personal things that I realized this could be a feature film. It was a big process because there were several journals. There were two sides to them: one was her inner voice that said things that Gilda never said on-camera like about her eating disorder and some of her loneliness. I never wanted anyone to read that—I wanted that to come through animation. Q: When did you decide to have the modern-day comedians read from her journals as they do in the film? D’Apolito: I wanted them to read the funnier things she wrote about fame and things they could connect to. There’s a responsibility that comes along with it. It’s so personal to read someone’s diaries. I always thought if someone read my diaries, I’d want them to be responsible with them. So, it felt like an honor (to read hers). Q: Was there anything you held back because it might be too embarrassing? D’Apolito: No. I think everything is in there. It’s just how you tell things. There’s no secrets that came out of the diary; it’s just how I used it. Like, from what I know Gilda didn’t do drugs. If she did, it was the occasional smoking pot. She wrote in her diary that she’d had a party at her house and when she woke up the next morning, there was a line of cocaine on her mantel. You could take that out of context but it was more likely that somebody had left it there from the party. So, it’s not that I tried to hide anything but I tried to be true to what was going on. Q: What did you learn from making this documentary? D’Apolito: Before this, I’d done a lot of long-form branded content pieces with interviews, animation and music so I had the skillset but raising money was new to me. I’d never not had a budget. Raising money was really hard. I knew all the right people in the advertising world but in the documentary world. I also didn’t know how long or how much effort and time it takes to make a feature film. But now I know. It’s also more dramatic storytelling than the commercial things I was used to making. Q: Do you want to continue making feature documentaries? D’Apolito: I loved making this film, especially when all the elements came together. I’ve spoken with different people about different things but I’m not sure what I’m going to focus on next. I want to do the same sort of film: bio, strong female character (using) archival material. Not the same exact film but I want to use elements of this film. Q: Do you believe there’s a reason “Love, Gilda” is coming out at this time? D’Apolito: When I was trying to raise money for the film, people referred to this as an “evergreen” project—meaning it could come out at any time. But I see with films like “RBG” (about Supreme Court Justice Ruth Bader Ginsburg) and Mister Rogers (“Won’t You Be My Neighbor?”) and it really looks like people are looking to be entertained (in documentaries). On a side note, “Love, Gilda’s” audiences are mostly people who grew up watching Gilda Radner on “SNL,” whether they were in college or watched her go through her battle with cancer, so there’s a sense of nostalgia. People are remembering her comedy years in a very nice way. What’s coming up is “What is her role in female comedy?” She was influenced by Lucille Ball and Carol Burnett and then she went on to influence Amy Poehler and Tina Fey, who are now influencing a new group of female comedians. So, I think it’s a really good time for strong female characters. Q: Was Tina Fey unavailable to be in your film? Or did you feel you had enough with Amy Poehler and the other modern-day comedians to speak about Gilda’s influence on them? D’Apolito: Tina was on our list but she passed on being interviewed. We had a really long list of comedians inspired by Gilda. We would have loved to have had Tina in the film but she introduced the film at the Tribeca Film Festival in opening the film, so I feel like she’s part of the film. Once we got five people, we thought that was enough. We could have gone on and gotten another five, easily. Sarah Silverman loved Gilda, Amy Schumer. There are a lot of female comedians … and male comedians too. I was really surprised how much Bill Hader loved Gilda.